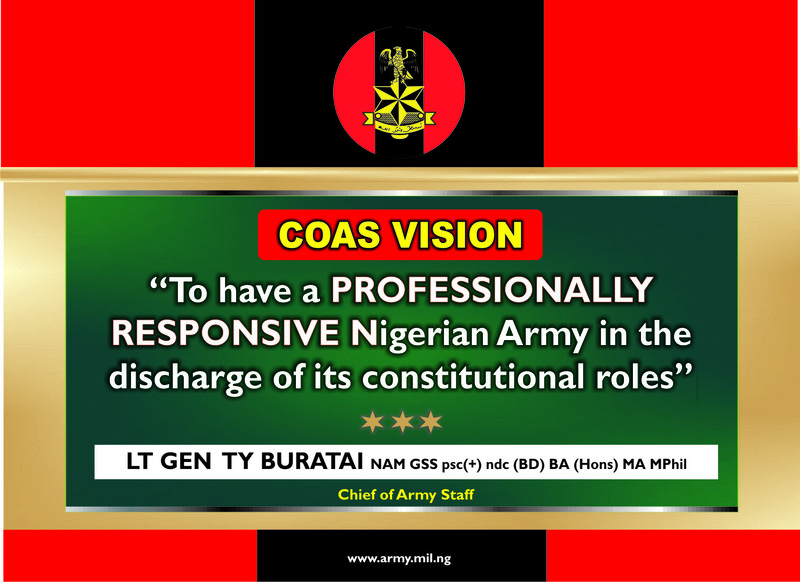 The Nigerian Army will not rest on its oars in the performance of its constitutional roles. 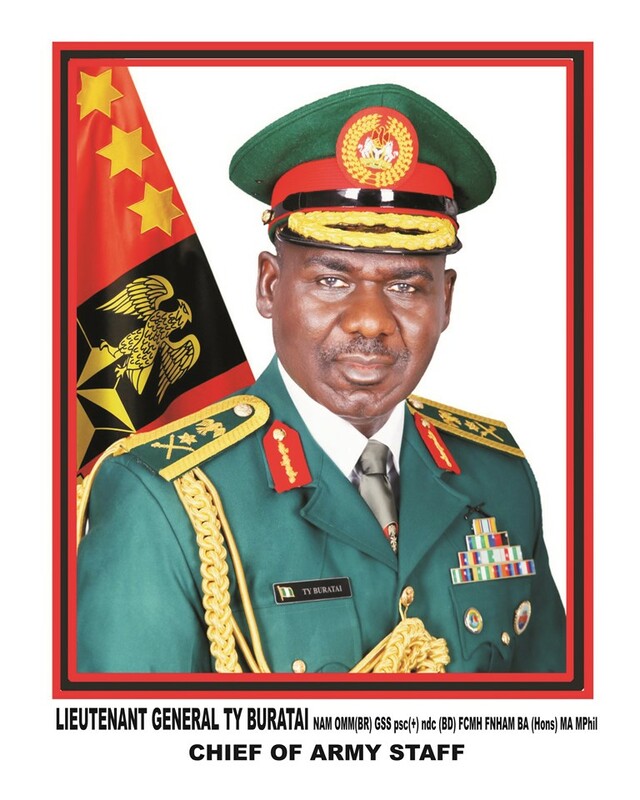 The Chief of Army Staff (COAS), Lt Gen Tukur Yusufu Buratai made this known recently at the Nigerian Army Resource Centre in Abuja while launching the Book titled “Introduction to Military Law Practice and Procedure”. 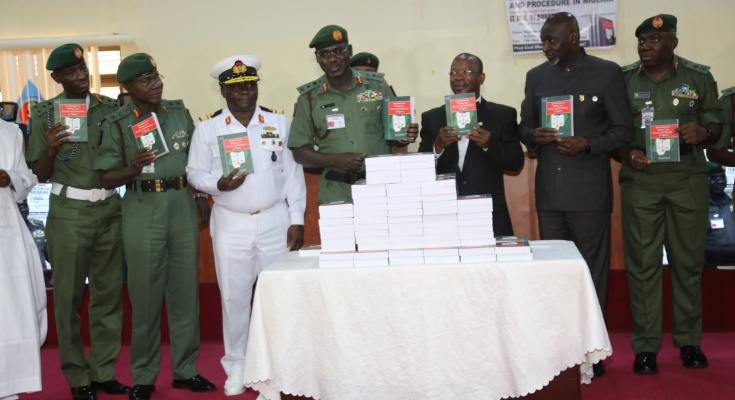 Gen Buratai stated that the book would help to maintain high level of discipline and trials of erring personnel. 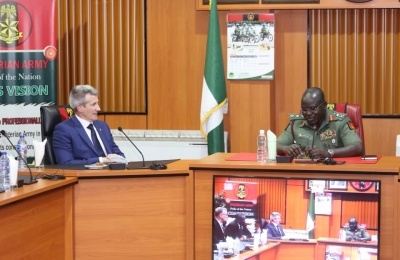 He further stated that the book also simplified summary and court martial trials which make up the major aspects of military justice system in Nigeria. The Army Chief maintained that the book would serve as a practical guide to Commanders at different levels to conduct summary trials and guide members of the courts martial. 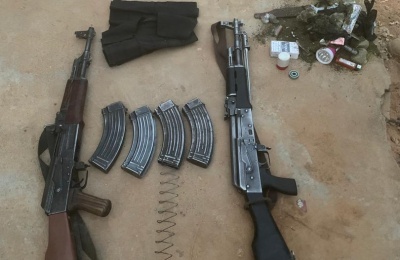 He noted that the Book brings to fore, the need for the military to continue to key into procedures laid down by the Armed Forces Act of the Federation of Nigeria 2004 and Rules of procedure 1972 in trials. 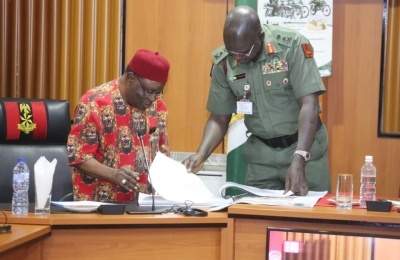 The COAS commended the Author, Colonel BU Okorie (rtd) for his research work, urging him to continue to keep the flag of the Nigerian Army flying even after his retirement. He advised every Commander in all the Unit and Formation to get a copy of the book. In his welcomed address, the Director Legal Services, Brig Gen Yusufu Shalangwa expressed gratitude to the COAS for his support and encouragement which resulted to the success of the book. In his vote of thank, Col Okorie thanked the COAS for his professional guidance and fatherly leadership throughout the research and writing of the book. He acknowledged the Officers and Soldiers for their immeasurable support and contribution during the process of the book.